Last year, Elon Musk said Tesla’s cars could come to India the summer but there has not been any further development. Tesla CEO Elon Musk said on Wednesday that he would love to roll out Tesla cars in India but the tough government regulations have forced him to apply the brakes on his India plans for now. “Would love to be in India. Some challenging government regulations, unfortunately,” Elon Musk tweeted in a response to a Twitter users who wrote “No Tesla in India” to him. “Deepak Ahuja, our CFO, is from India. 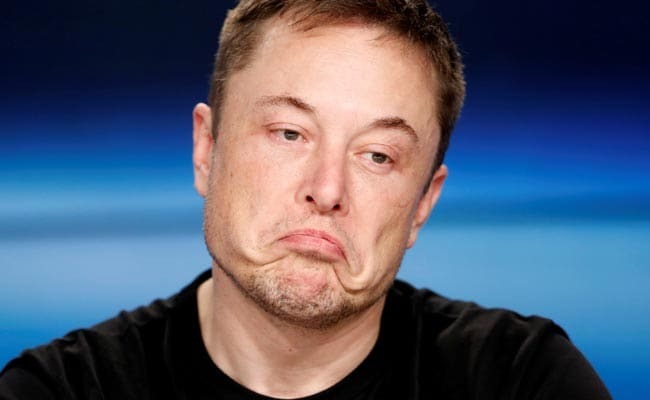 Tesla will be there as soon as he believes we should,” added Elon Musk, also the SpaceX founder. Mr Ahuja, a seasoned auto industry finance executive with 15 years experience at Ford Motor Company, joined Tesla Motors as Chief Financial Officer in 2010. He holds Bachelors’ and Masters’ degrees in Materials Engineering from Banaras Hindu University and Northwestern University, respectively and an MBA from Carnegie Mellon University. Mr Ahuja works out of Tesla’s San Carlos headquarters. He quit Tesla in 2015, only to join it back in 2017. The CEO later blamed the FDI norms in India for delay in Tesla’s entry into the Indian market. The Make in India’s Twitter handle replied: “@elonmusk With respect to news reports on launch plans of Tesla in India being delayed, please note some key clarifications#MakeInIndia”. Elon Musk has revealed plans to install 10,000 Supercharger stations for his company’s electric vehicles around the world by the end of 2019. He tweeted a global map of the upcoming Supercharger stations, mainly in Europe, North America and China but not in India. There are at present 1,229 Supercharger stations across the world, with 9,623 Superchargers installed which can charge an electric vehicle in just 30 minutes (nearly 80 per cent capacity). Tesla recently confirmed that it has produced its 300,000th vehicle. There are now 212,821 Model S vehicles, 71,927 Model X vehicles, and 1,770 Model 3 vehicles. Zimbabwe Elections Remain The Nations Hope.